While it's true that in this day and age, office attire is more approachable and casual than ever, greater wisdom holds that dressing professionally still pays off in the long run. Your bosses take you more seriously, you possess a more formidable presence, and you might even do your job better—all because of how you dress. Figuring out how to dress professionally can be a little intimidating, but with a few style habits to keep in mind, you won't even have to think twice about it the next time you're choosing appropriate office attire. To help us overcome our growing tendency toward business-too-casual attire in the office, we enlisted street style maven, entrepreneur, and businesswoman Caroline Issa to share her wisdom with us. Not only has Issa built several businesses from the ground up, but she also manages to maintain a wardrobe that successfully straddles the line between professional and modern. For these reasons, we think she's the perfect person to guide us in this area. Keep scrolling to learn Issa's tips for dressing more professionally and to shop some of our favorite office-ready pieces. Invest in a classic suit that will take you through any season and any job. Add a bit of flair and elegant charm with a silk blouse. Blazer and Trousers available in sizes XS to XL. Blazer and Pants available in sizes 0 to 14. A simple pair of stilettos (think Jimmy Choo or Paul Andrew) is a great staple to have for work. Ditch your party shoes and go for something simple, comfortable, and elegant. Day-to-night dressing is made easy with a simple dress. Add a blazer in the office; remove it and accessorize for an after-work cocktail event. Understated and minimal is the best way to go when accessorizing during work hours. If you are all about bold statement jewelry, pair it with a simple, clean outfit for contrast. 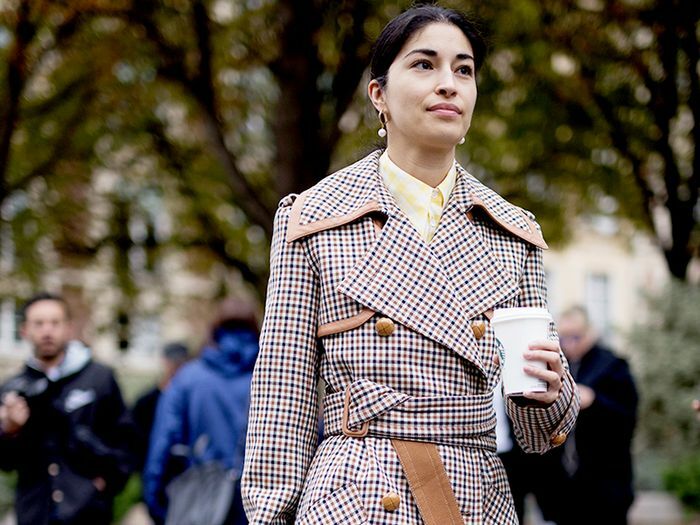 Next up, check out five outfit combos successful women swear by. This post was originally published at an earlier date and has been updated by Allyson Payer.